Tonight's swatches aren't from a collection, but they're from a new brand I hadn't heard of before this review. 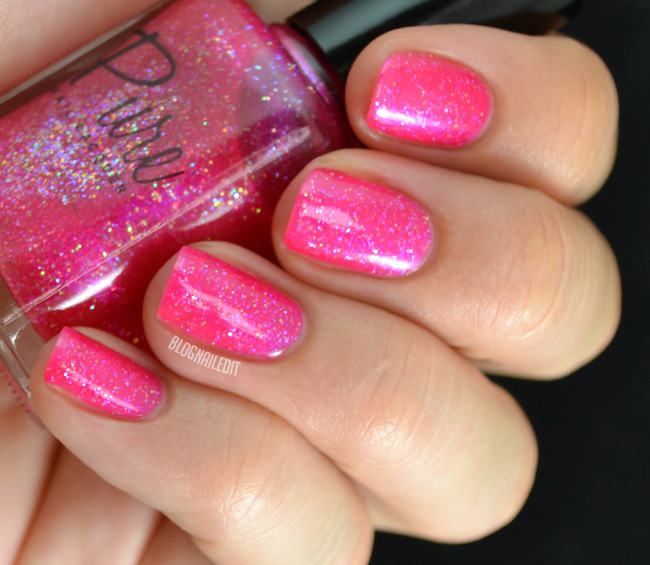 This brand is called Pure Nail Lacquer. According to the site, it's designed to encourage and uplift women. It's 3-free and meant to coordinate with how women are feeling from day to day. Most polishes are $5 each, while others are $8. I have some problems with the formulas and applications, but I really like the colors. The nail art is inspired by my favorite, Lucid. The first color is Virtuous. 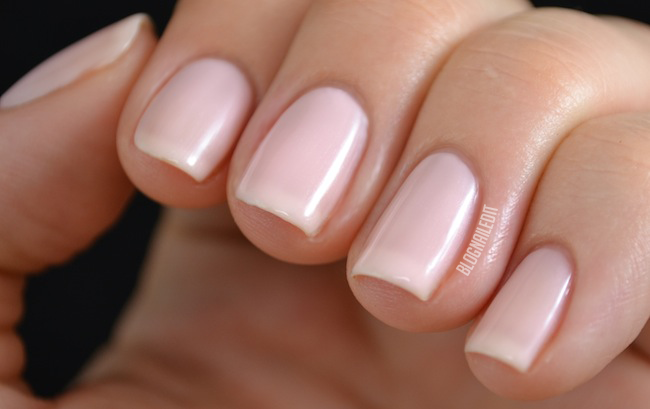 This is a soft pink, very sheer shade. I used 4 coats, and as you can see, it's still super sheer. I don't mind it though. It's gorgeous! Application was a little bit of a pain though, and took too long to dry for my taste, so layers were a little sticky and pulled on each other. Next up is Sunlight. 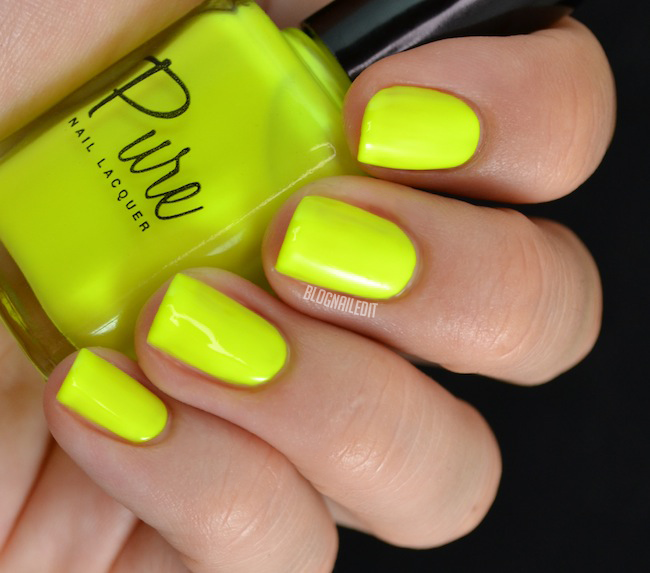 I'm not sure it matches with their naming convention, but it's a great neon yellow. 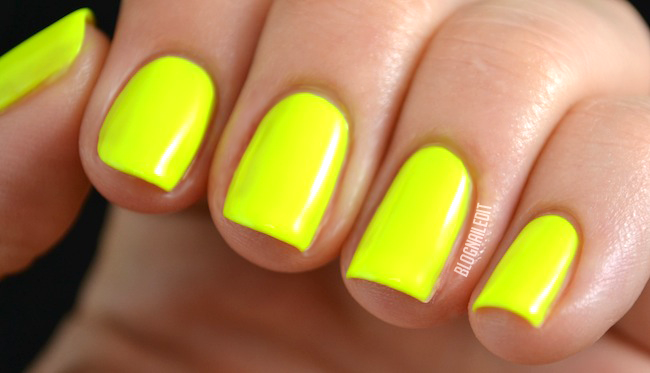 So neon! It doesn't need underwear either. However, it does call for 4 coats and doesn't even out very well. Classy AnnMarie is an unexpected shade I wound up liking. It's the jelliest of jellies, and requires upwards of 5 coats. That aside, it really struck me with its iridescent glitter. So once it builds up, it's such a rich hot pink jelly. This is one that costs $8. Another jelly, Lucid, is a royal polish. The 4 coat jelly starts off really ugly. It had the hardest time leveling off and applied unevenly for the first 2 coats. Then it all seemed to come together, and look what it produced. 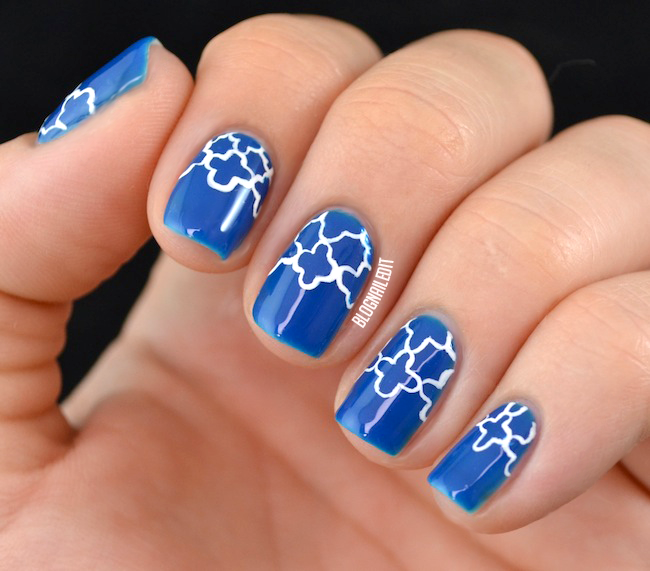 I liked it so much I needed to have it be a star in the nail art. The last color for this review set is a clay putty grey called Innocence. This only needed 2-3 coats. I say 3 because it had some problems like the others applying smoothly. You can purchase Pure Nail Lacquer from their shop for $5-$8 per bottle. I want to thank Ryan from 3rd Lounge for hooking this up for me! These products were sent to me by Pure Nail Lacquer and 3rd Lounge Inc. The reviews are based entirely on my experience with the products and were in no way influenced by anyone. first nail manicure and pink is the most beautiful! I love the pink and the blue ! !